The exhaust system ensures toxic fumes stay out of your car cabin and works to make your engine run correctly. It also helps give you the best possible fuel efficiency and cuts emissions that pollute the air. Because the process is loud, a muffler is used to cancel out the sound. However, the muffler not only reduces the noise level, but also controls the back pressure of the engine. If your car’s muffler has a hole, then you can experience a carbon monoxide leak, so it’s important to fix it right away. Make sure you contact a professional exhaust shop or auto repair service, as a DIY muffler patch is never a good idea. The exhaust pipe plays a key role in diverting exhaust fumes out of your engine, which in turn keeps your vehicle running smoothly. Built-up exhaust fumes can ultimately cause engine deterioration, which makes it important to have your exhaust pipe regularly inspected at a professional muffler shop. If you hear vibrating when your car is running or if it experiences a loss of power, bring it in for a free exhaust inspection. Let the shop know where you noticed the vibration coming from: the steering wheel, operating pedals, or even the seat. This symptom could be a result of a hole, disconnected part, or a leak in the exhaust system. The problem may or may not include a rumbling sound – that depends on the size of the damaged area. The vibrations are not just signaling a problem with the muffler or exhaust... they are also signals that your motor is likely not performing at peak levels. The catalytic converter is the most costly part of your exhaust system. If your catalytic converter begins to fail, you will hear loud sounds. A failing catalytic converter sounds like someone shaking a metal box filled with pennies while your car is in idle. You may also notice your check engine light is illuminated. A deep rumbling noise coming out of your exhaust pipe is an obvious signal that you have a muffler or exhaust issue. Having it repaired quickly is the best option. Delaying needed muffler or exhaust repairs causes other exhaust and engine problems that make repairs more expensive. If you notice your regular fill-ups aren’t getting you as far as they used to, take your car to a local service center for an inspection. 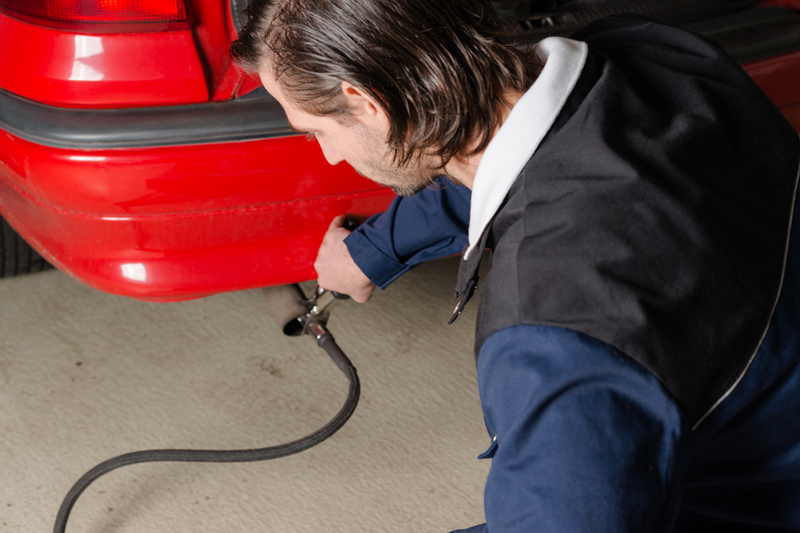 As with vibrations, loss of fuel efficiency might be a sign of a car exhaust system problem. Exhaust leaks makes your motor work harder, which requires more gas. Our exhaust repair coupons and seasonal specials make it affordable to have your repairs performed by a professional mechanic. Visit our locations page to find current exhaust system repair deals at a center near you. Q : When does my car need a new exhaust system? The lifespan of an exhaust system can vary. Most of today’s vehicles are made with high-quality steel exhausts, which will typically hold up for about five years, but there are many other conditions that factor in. Some signs that it’s time for a new exhaust system include: A noticeable increase in engine noise; visible rust; and a reduction in fuel efficiency. Q : Will a new exhaust system improve gas mileage? In most cases, a new exhaust system will improve fuel efficiency. The question is by how much. Usually, it winds up being somewhere between 2 and 10 percent, which might realistically translate into two mpg. The benefits of a new exhaust system are most pronounced in smaller vehicles. It’s always important to speak with your service technician to learn what kind of performance improvements you can expect from your new exhaust system. Q : Can exhaust systems increase horsepower? The great benefit of an exhaust system isn’t that it adds power, but that it allows you to use your current power more efficiently; thus, gas mileage is a better metric than horsepower. With that said, a new exhaust system can increase horsepower, sometimes by as much as 50. In other cases, it may increase your horsepower by just one or two. Always ask your service technician what to expect from a new exhaust system. Q : How does an exhaust system affect performance? 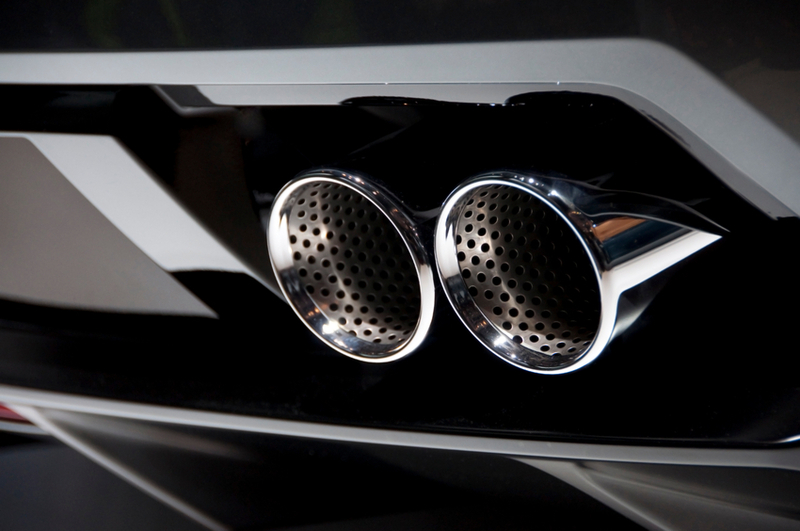 The exhaust system in your car helps provide you with a safe, reliable performance—reducing noise, reducing emissions, and more. Improving your car with an after-market exhaust system can enhance the performance further, and in a number of ways. It can boost fuel efficiency, better control emissions, and in some cases even free up some additional horsepower for your ride. Q : What is an exhaust system resonator? The best way to think about an exhaust system resonator is as an echo chamber of sorts. The muffler can play a big role in keeping your car quiet, but a resonator will make it quieter still—not just removing sound, but actually changing it, making your drive as audibly pleasant as possible. If you’re looking for something to reduce automotive noise, a resonator can be an excellent choice. Q : What is a dual exhaust system? Every vehicle has an exhaust system—either single or dual. The role of the exhaust system is to get rid of any excess gasses burned by the engine, helping the engine to stay cool and run smoothly. A dual exhaust system has not one but two exhaust pipes to get rid of this excess gas, which improve the overall engine performance—enhancing gas mileage, adding horsepower, and helping the engine to run cooler. Q : Can a catalytic converter be repaired? It is sometimes possible to repair a catalytic converter. With that said, it can often be just as cost-effective to replace it altogether. To learn more about the available options for catalytic converter repair, it’s always best to speak with an expert—specifically your Meineke service technician. We can walk you through the available options for getting your catalytic converter running as it should. Q : When does a muffler need to be replaced? There are several telltale signs of muffler failure. The biggest and most obvious is that your car suddenly seems a lot louder than before—a pretty clear indicator that your muffler is no longer doing its job. A visual inspection can also help you diagnose a failed muffler; any signs of dripping water or major rust point to the need for a muffler replacement. 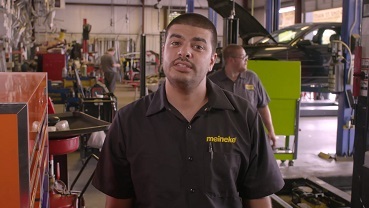 Ask your Meineke service tech for any help diagnosing your muffler. Q : Why is my muffler smoking? 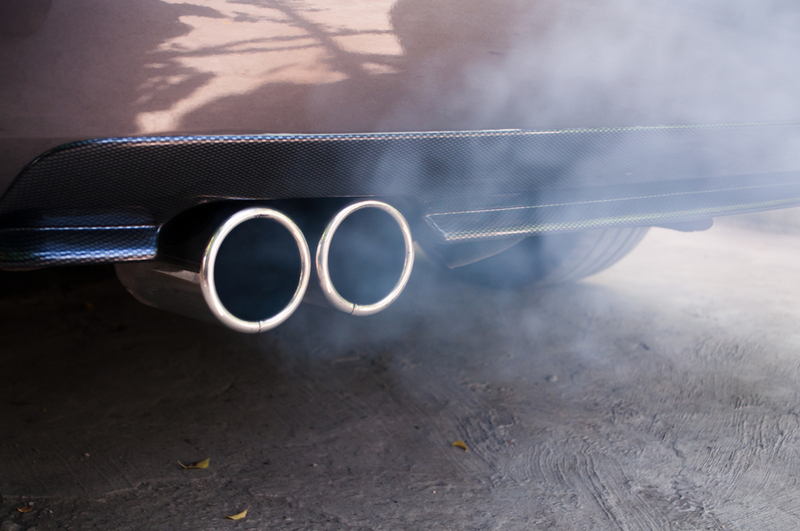 A thin, vapor-like smoke coming from your exhaust pipes is nothing to worry about. Generally, that just means condensation has built up and is being burned off. However, the appearance of thick black, gray, or blue smoke is a sign that there’s something seriously wrong with your engine. Get it looked at by a trained professional, as soon as possible! My Car Failed the Emissions Test. Now What?